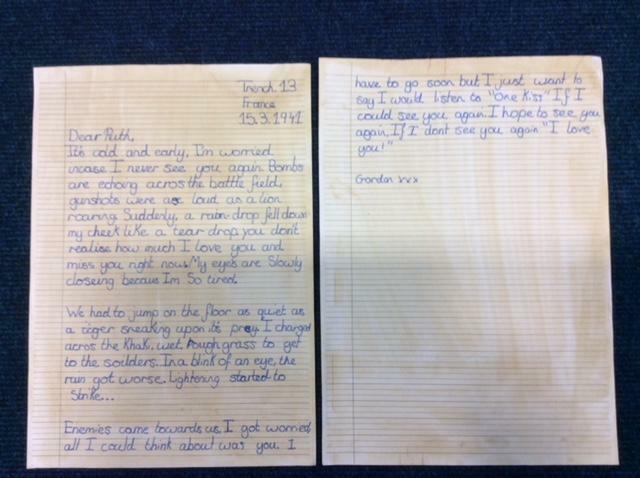 This week we've been writing, writing and writing! 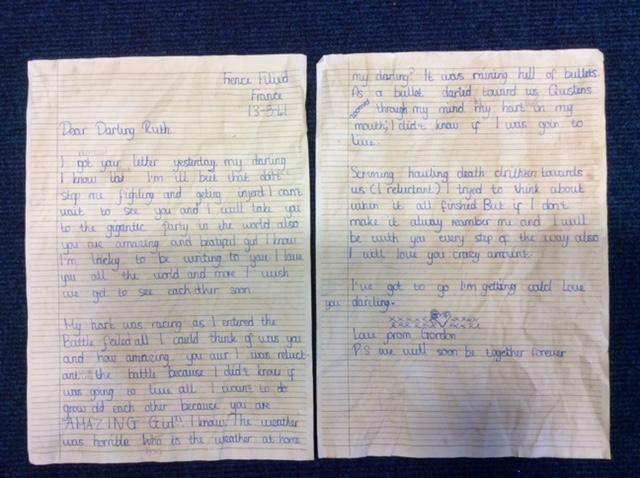 We enjoyed learning about Anne Frank and wrote a biography about her remarkable life, we experienced what it may have been like to be a Jewish child at school from 1933 - 1945 then used this to write another diary entry. 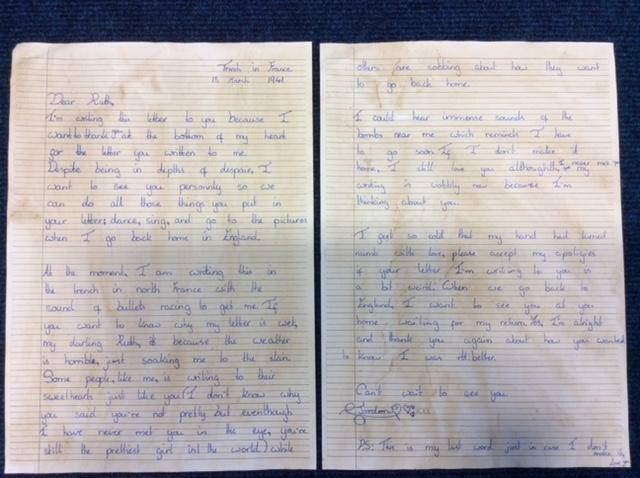 Then on Thursday we read a real letter that was written during WW2 by an 18 year old girl to her boyfriend in the British Army and experienced a battle field and wrote a letter back to 'Ruth'.